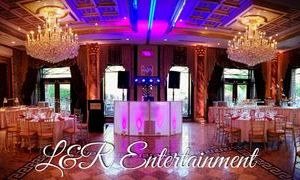 We are professional Dj's that care for the customer. Our main goal is to treat everyone with that special touch. Whether you have a Wedding, Anniversary, Birthday, Reunion, Kids Party, Night Club, Restaurant, Lounge, or Corporate Event. We are prepared to make it a day to remember. Our years of experience in the music and entertainment industry, have given us the tools to give the customer the best for a very competitive price. We keep our equipment and music library up to date with nothing but the best in the market. When you are in need for a Dj, you want someone Experienced, Reliable, Punctual, Fun, but yet very Elegant. So why settle for an inexperienced Dj? When you can have the best for a very good price. Our music library includes music from the 40's to today's hits. Rock, Top 40, R&B, Dance, Disco, Doo Wop, Hip Hop, Club, Lounge, Latin, Ethnic, Oldies, and Much More. We are also fully insured. So next time you're looking for a Professional Dj, hire the Dj's that care. 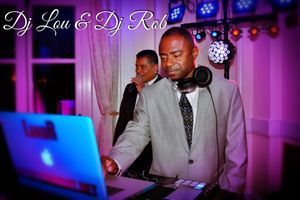 "Since having both Dj Lou and Dj Rob perform their "magic" at several of our functions, we cannot stop getting rave notices about our entertainment. They fully compliment our facility package. We cannot say enough good things about them. if you want professional entertainment, these are the people".